Claire Mahoney has been a journalist for over 20 years in industries including healthcare, print, and publishing. She has been behind the launch and re-branding of a number of international business magazines. 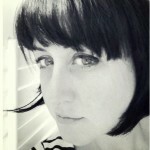 She has been editor of Security Middle East Magazine (www.securitymiddleeastmagazine.com) for the last seven years. The magazine is now the leading English language security title in the Middle East. She also co-runs a successful design and editorial agency, which offers a wide range of editorial, design, and print services to international clients. Cost-conscious developers have left a legacy of fire risk in many of the United Arab Emirates’ iconic high-rise towers. Many fear this legacy will soon cost lives. Around 70 percent of the UAE’s high-rise buildings are thought to be covered in aluminium composite panels, which have been favoured by developers keen to keep costs down without compromising aesthetics. The problem with the panels is that the thermoplastic core sandwiched in their centre is highly flammable and causes fire to spread rapidly up and down the building. The panels are thought to be responsible for the spread of several high-rise fires in Dubai and Sharjah over the last 18 months, including the April fire at the Al Haffeez Tower and the fire that gutted the Tamweel Tower in Dubai in November. These panels suddenly hit the UAE market about 10 or 12 years ago, and I suppose no one here knew about this issue — except, of course, the manufacturers, including some very large firms in the Far East, who apparently chose to keep quiet about it. We came to know about them after investigating an arson in an unfinished twin tower project in Doha. I remember that there was only one supplier in the market offering the fire retardant type of panel when we started to insist that that type alone was acceptable. This was about 2006. The UAE has recently introduced a ban on the panels for new buildings. However, this does not solve the problem of the huge volume of buildings still clad with these panels, Bell-Wright said. Owners don’t see why they should pay for the expensive replacement of panels which were not illegal when they were installed. There are proposed strategies to protect installed panels where they could come in contact with sufficient flammable materials which, if ignited themselves, could generate sufficient energy to ignite the panels, such as on balconies, near dumpsters, or cars, for example. Another strategy that has been mentioned is to replace the panels on every third or fourth floor, providing a fire break which would contain the blaze. The panels are inexpensive and come in many durable colours/finishes, so they are an attractive solution for a cost-conscious developer. They may take some time to ignite, but once a fire gets hot enough to burn through to the core of the panel, the fire will spread very rapidly up and down the building, even causing burning droplets to fall from the building and spread the fire to other buildings and ground-level objects such as cars. In an article in the latest issue of Fire Middle East magazine, Andy Dean of Exova Warringtonfire wrote that the fire spread risk of these panels may not be picked up by traditional fire tests for building facades. Whether or not the facade of the building has a fire resistance capability, it must also perform in at least two other important fire-related ways. Firstly, the materials used have to limit flame spread — and it is lamentably apparent that some of the materials used on the buildings in recent fires may not have been suitable. Also, the ASTM E84 and BS 476 Part 7 tests, which are traditionally used to determine a material’s surface spread, are not aggressive enough to challenge ACP panels effectively, Dean wrote. The fire doesn’t penetrate the panel and release “the dragon inside.” He recommends that panels like this be tested using NFPA 285 or BS 8414 to generate enough heat to evaluate fire spread. In the meantime, fire safety experts will be watching and waiting for the next high-rise fire in the region and ultimately who will take responsibility when and if it results in a fatality. 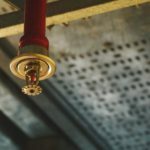 What are the legal requirements around sprinkler systems? When and where should they be used? This technical guide from Barbour covers the types, design, maintenance and - most importantly - the legalities around sprinkler systems. It is a surprise to learn, there are modern High-Rise buildings in Dubai prone to serious fire hazard without any immediate action in place to prevent its fatalities. Is UEA immune from complying with international fire safety regulations? I know they are oil rich nation and can recruit the best so the question where are they having these fire problems with their infrastructure in this modern age?. There must be something which is not working right somewhere. Could it possibly be that there are too many decision makers between the money paying for the construction of the building, and the person(s) responsible for any safety “concerns”…?